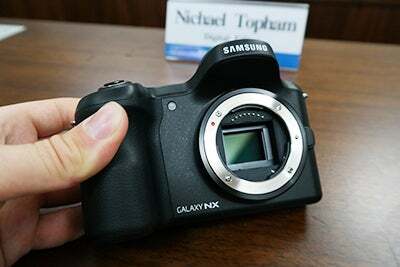 Would you live on a desert island for a Samsung Galaxy NX? Of all the promotional stunts we’ve seen for new products, this is certainly one of the more unusual. Samsung has announced its ‘SOS Island‘ competition, in which it will strand ‘lucky’ winners on a desert island in the Caribbean and pit them against each other in challenges involving the Samsung Galaxy NX and the Zoom S4. Applications are currently open for the competition, which will invite sixteen people to the Caribbean to embark upon survival training with survival expert Les Stroud. From these sixteen, eight contestants will be selected to be transported to the secret island for the main event. Samsung says that viewers will be able to interact via social media and vote for their favourite contestants. The winner will receive a grand prize of $100,000 ‘towards their very own private island experience’ (and will presumably be showered with Samsung products as well). Applications are open now and things kick off on September 30. See sos-island.com/apply for details.